Table 1. Baseline characteristics, n=239. Table 2. Relationship of FGF23 to clinical, biochemical and echocardiographic variables. Data for non-significant clinical (32 variables)* and biochemical variables (5 variables)* not shown. Table 3. Correlations to mortality and cardiovascular events. Relative risk (confidence interval). Significant variables only. Pearson correlation analysis. Table 4. Regression correlations to left ventricular mass index (LVMI) and left ventricular ejection fraction (LVEF). Pearson correlation R values. Significant variables only. Fibroblast growth factor 23 (FGF23) is known to cause left ventricular hypertrophy (LVH), but controversy exists concerning its effect in dialysis. This study evaluated associations between FGF23 levels, echocardiography and prognosis in patients on hemodialysis (HD). Patients >18 years on chronic HD were included in this cross-sectional study. Plasma C-terminal FGF23 concentration was measured with ELISA and transthoracic echocardiography was performed, both before and after HD treatment. 239 haemodialysis (HD) patients were included in the study. The FGF23 was median 3560RU/ml (IQR 1447–9952). The mean left ventricular mass index (LVMI) was 110.2±26.7g/m2 and the left ventricular ejection fraction (LVEF) was 52.7±9.9%. Defined by LVMI, LVH was found in 110 patients (46%), of which 92 (84%) had hypertension (p<0.01). Patients with LVH had FGF23 levels of 5319 RU/ml (IQR 1858–12,859) and those without 2496 RU/ml (IQR 1141–7028) (p<0.01). FGF23 was significant positive correlated with LVMI (p<0.01), and negatively to LVEF (p<0.01). In a multivariate analysis, FGF23 was correlated with LVEF (p<0.01), but only marginally to LVMI (p<0.01). Cardiovascular events in the follow up period was not correlated with FGF23. Furthermore, FGF23 was independently correlated with overall mortality (p<0.001). FGF23 was positively correlated with LVH and negatively to LVEF. FGF23 was an independent predictor for overall mortality. Se sabe que el factor de crecimiento fibroblástico 23 (FGF23) provoca hipertrofia ventricular izquierda (HVI), pero existe controversia sobre su efecto en la diálisis. Este estudio evaluó las asociaciones entre los niveles del FGF23, la ecocardiografía y el pronóstico en pacientes en hemodiálisis (HD). Se incluyeron pacientes >18 años con HD crónica en este estudio transversal. La concentración del FGF23 en el extremo C del plasma se midió con ELISA y se realizó una ecocardiografía transtorácica, antes y después del tratamiento de HD. Se incluyeron 239 pacientes en HD en el estudio. El FGF23 tenía una mediana de 3.560RU/ml (amplitud intercuartílica: 1.447-9.952). 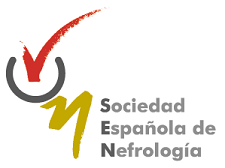 El índice de masa ventricular izquierdo (IMVI) medio fue de 110,2±26,7g/m2 y la fracción de eyección del ventrículo izquierdo (FEVI) fue del 52,7±9,9%. Definida por el IMVI, la HVI se localizó en 110 pacientes (46%), de los cuales 92 (84%) presentaban hipertensión (p<0,01). Los pacientes con HVI presentaron niveles del FGF23 de 5.319RU/ml (amplitud intercuartílica: 1.858-12.859) y aquellos sin 2.496RU/ml (amplitud intercuartílica: 1.141-7.028) (p<0,01). El FGF23 fue considerablemente positivo correlacionado con el IMVI (p<0,01) y negativo con la FEVI (p<0,01). En un análisis multivariante, el FGF23 se correlacionó con la FEVI (p<0,01), pero solo marginalmente con el IMVI (p<0,01). Los episodios cardiovasculares en el período de seguimiento no se correlacionaron con el FGF23. Además, el FGF23 se correlacionó independientemente con la mortalidad general (p<0,001). El FGF23 se correlacionó positivamente con la HVI y negativamente con la FEVI. El FGF23 fue un factor independiente para la mortalidad general. FGF23 is massively elevated in ESRD patients on HD,7 by the feedback mechanism of intractable hyperphosphatemia, and deficiency of the necessary co-factor klotho.8 FGF23 independently causes LVH in rodents5 and is associated with LVH, both in non-uremic subjects9–13 and in patients with chronic kidney disease (CKD).11,13–15 The relationship is less clear for patients with ESRD. While two studies, by Hsu et al. in HD patients16 and Sarmento-Dias et al. in PD patients,17 showed a positive relation, three other studies, failed to find a relationship.11,18,19 Systolic function has received less attention, but shows a similar picture. A relationship between FGF23 and prevalent or later heart failure (HF) is seen in non-uremic11,12,20,21 and CKD patients.11,22,23 Only two studies have addressed this question for ESRD patients11,16; neither found any relationship. The existence of detailed echocardiographic information for a large number of HD patients permits a definitive answer to the relationship between FGF23 and heart function and prognosis in ESRD. We hypothesized that FGF23 was related to LVH, a reduced left ventricular ejection fraction (LVEF), and an increased risk of death and cardiovascular events in HD patients. This cross-sectional study included patients from two dialysis centers between January and April 2014. Inclusion criteria were clinically stable patients aged 18 years or older on chronic maintenance HD for more than 2 weeks who were able to give their written informed consent. At inclusion all patients had blood samples collected and transthoracic echocardiography performed before and after a single routine HD treatment. Patient demographics, comorbidity, treatment and biochemistry data were obtained from hospital medical files. Vital parameters (blood pressure (BP) and heart rate (HR)) were measured at the beginning of HD treatment. All-cause mortality, cause of death, cardiovascular events (de novo HFrEF, lung embolus, acute myocardial infarction, endocarditis, arrhythmias and sudden cardiac death) and time to first admission was assessed from medical files (OPUS Arbejdsplads, version 2.5.0.0 ©2010 Computer Sciences Corporation (CSC) and Epic, Sundhedsplatformen ©2016 Epic Systems Corporation). Data for drug treatment for chronic kidney disease – mineral bone disorder (CKD-MBD) were incomplete, and could not be supplemented due to changes in the electronic patient files. Patients were followed until death or 1.1.2017. Time to first cardiovascular event (cardiovascular death, myocardial infarction, heart failure, cardiovascular operation) was registered. Patients were receiving routine HD treatment on Gambro machines (Artis™ Dialysis System) using synthetic high flux filters >1.6m2, Polyamix® (210H or 170H Gambro Polyflux®) and Polysulfone (Fresenius FX 100, FX 80 or FX 50) filters. Blood samples were collected from all patients from the arteriovenous fistula or the dialysis catheter before a single routine dialysis session and directly after centrifuged for 10min at 3000rpm at 20°C. Plasma was stored at −80°C in cryotubes until analysis. Plasma levels of standard biochemistry such as CRP, hemoglobin and creatinine were measured by the local clinical laboratory using standard methods (Siemens Dimension Vista 1500). Plasma concentrations of FGF23 (C-Term) were measured with a commercial available 2nd generation two-site immunosorbent assay (ELISA; Immutopics Inc., Santa Clemente, CA, USA) in January 2017. The assay used streptavidin-coated microplate wells, a biotinylated human FGF23 antibody and a horseradish peroxidase conjugated human FGF23 antibody. The bound enzyme activity was detected with tetramethylbenzidine (TMB) as substrate. The detection limit was 1.5RU/ml (assay sensitivity), and the intra-assay coefficients of variation were 2.4% (at 33.7RU/ml) and 1.4% (at 302RU/ml). The inter-assay coefficient of variation was 4.7% (at 33.6RU/ml) and 2.4% (at 293RU/ml). FGF23 is stable for 40 months in plasma samples stored at −80°C.41 The reference range of FGF23 used was mean±SD, 129±33RU/ml. Transthoracic echocardiography was performed on GE machines (Vivid S6) by three skilled echocardiographers before and after HD treatment. The examinations were then analyzed in GE software (GE Healthcare EchoPAC v113.1.3 R3) and revised by consultants in cardiology. LVH was defined as left ventricular mass index (LVMI) >115g/m2 for men and >95g/m2 for women after the Devereux formula indexed for Body Surface Area (BSA).42,43 Simpson's biplane method was used for calculating LVEF biplane.44,45 HFrEF was defined as LVEF <40%. Normally distributed variables were compared using student's t-test and MANOVA. Where relevant, logarithmic transformation was performed. Non-normally distributed variables were compared using Mann–Whitney U test and categorical analysis using Chi-square test. FGF23 values were divided into approximate quartiles for analysis. Pearson regression analysis was used for correlation. A probability of p<0.05 was considered significant. Significance values were classified as p<0.05, p<0.01, p<0.001and as non-significant (NS) at p>0.05. Kaplan Meier and Cox proportional hazards backward stepwise analysis was performed on follow-up data in order to identify risk factors for death and cardiac events. The study was performed in accordance with the Helsinki Declaration II and was approved by the The Danish National Committee on Research Ethics (H-3-2013-098) and the Danish Data Protection Agency, Copenhagen (HIH2013-027). 239 HD patients were included in the study. Patient details are shown in Table 1. Patients had median 3560RU/ml FGF23 plasma concentrations (IQR 1447-9952). Mean LVMI was 110.2±26.7g/m2. Mean septal and posterior wall thickness were 1.12±0.17cm and 1.09±0.15cm respectively, and mean LVIDd was 2.64±0.40cm/m2. The LVEF was 52.7±9.9%. 27 (12%) had echocardiographic HFrEF. Defined by Devereux formula for LVMI, LVH was found in 110 patients (46%), where 92 (84%) had hypertension (p<0.05). Patients with LVH had a median FGF23 plasma concentrations 5319RU/ml FGF23 (IQR 1858–12,859) and those without 2496RU/ml (IQR 1141–7028) (p<0.01). Values expressed in numbers (percentage), mean±standard deviation (SD) or median (interquartile range (IQR)). ESRD=end stage renal disease; HD=hemodialysis; PD=peritoneal dialysis; NYHA=New York Heart Association; BP=blood pressure; PTH=parathyroid hormone; FGF23=fibroblast growth factor 23; CRP=C-reactive protein. Correlations to FGF23 are shown in Table 2 and Fig. 1. Where LVMI was positively and LVEF was negatively correlated with FGF23 (Fig. 1). High FGF23 levels were associated with markers of increasing uremia (dialysis ultrafiltration, ESRD duration, p-creatinine, low diuresis and low diuretic use). They were also correlated with use of β-blockers, sevelamer and cinacalcet, diastolic blood pressure, p-phosphate, p-PTH, and C-reactive protein (CRP). They were negatively associated with presence of diabetic nephropathy. No correlation to prevalent cardiovascular disease was seen. LVMI and LVEF were negatively correlated (Fig. 2). Relationship of FGF23 to clinical, biochemical and echocardiographic variables. Data for non-significant clinical (32 variables)* and biochemical variables (5 variables)* not shown. Quartile 1 2 3 4 Sig. Correlation between log FGF23, Left ventricular mass index (LVMI) and left ventricular ejection fraction biplane (LVEF). Correlation between left ventricular mass index (LVMI) and left ventricular ejection fraction (LVEF). FGF23 was positively correlated with interventricular septum end diastolic diameter (IVSd), left ventricular posterior wall end diastolic diameter (LVPWd), LVMI, left atrium end diastolic volume (LAEDV), and negatively to LVEF. There were no significant correlations to LVIDd, mitral valve E/A ratio (MV E/A), mitral valve E/é ratio (MV E/é), global longitudinal strain (GLS) or tricuspid regurgitation peak gradient (TR maxPG). Patients with an FGF23 >10,000RU/ml had a LVMI 17g/m2 (17%) greater than patients <1500RU/ml and a LVEF that was 6 percent points (11%) lower. Univariate and multivariate correlations to patient death and cardiovascular event risk are shown in Table 3. There were 89 deaths (37%) and 63 (26%) cardiovascular events: endocarditis 7, cardiac valve operation 2, peripheral vascular operation 12, cardiac vascular operation 6, myocardial infarction 6, de novo HFrEF (LVEF <40% described in the patient records) 16 and cardiovascular death 14. FGF23, but not LVMI was significantly correlated with patient survival (Fig. 3). While patients without echocardiographic HFrEF had similar patient survival rates regardless of LVEF (2-year survival 76%), but patients with HFrEF had significantly lower survival (48%, p<0.05). Adjusted mortality risk ratios for FGF23 groups compared to FGF23 <1500 RU/ml were: FGF23 1500–4000RU/ml 1.85 (95% CI 0.99–3.45, NS); 4000–10,000RU/ml 3.00 (1.46–6.13, p<0.01); >10,000RU/ml 3.76 (1.98–7.14, p<0.001). Independent risk factors for mortality were age, p-creatinine (protective), CRP and FGF23. Independent risk factors for cardiovascular events were CRP, LAEDV index and global longitudinal strain (GLS). Differences between the correlations to patient mortality and cardiovascular even risk were noted. Patient mortality was primarily related to clinical and biochemical variables, whereas cardiovascular risk was primarily related to echocardiographic findings, previous cardiovascular disease, and markers of inflammation (CRP, ferritin) and malnutrition (low transferrin). FGF23 was not associated to cardiovascular event risk. 37 (15%) patients developed arrhythmias, primarily atrial fibrillation. There was no relationship between FGF23 and prevalent or incident arrhythmia. Correlations to mortality and cardiovascular events. Relative risk (confidence interval). Significant variables only. Pearson correlation analysis. p<0.001. AMI=acute myocardial infarction; NYHA=New York Heart Association; BP=blood pressure; CRP=C-reactive protein; FGF23=fibroblast growth factor 23; LVPWd=left ventricular posterior wall end diastolic diameter; LVIDd=left ventricular internal end diastolic diameter; LV=left ventricle; LVPWd=left ventricular posterior wall end diastolic diameter; LVM=left ventricular mass; LVH=left ventricular hypertrophy, LAEDV=left atrium end diastolic volume; LVEF=left ventricular ejection fraction; GLS=global longitudinal strain. Patient survival plot according to FGF23 quartiles. Correlations to LVMI and LVEF are shown in Table 4. Independent correlations to LVMI were presence of cardiac arrhythmia, peripheral vascular disease and p-phosphate. While log FGF23 was highly correlated with LVMI on a univariate analysis, it was only marginally significant on the multivariate analysis (r=0.13, p=0.05), and only if arrhythmia and peripheral vascular disease were forced out of the model. A post hoc multivariate analysis of LVM however showed an independent effect of FGF23. (r=0.16, p<0.05). In contrast, phosphate was not correlated with LVEF on univariate and multivariate analyses. The independent correlates were age, log FGF23 and β-blocker treatment. Regression correlations to left ventricular mass index (LVMI) and left ventricular ejection fraction (LVEF). Pearson correlation R values. Significant variables only. Echocardiography variables not included. NI=not included; NYHA=New York Heart Association; RAAS=renin-angiotensin-aldosterone system; CRP=C-reactive protein; FGF23=fibroblast growth factor 23; IVSd=interventricular septum end diastolic diameter; LVIDd=left ventricular internal end diastolic diameter index; LV=left ventricle; LVPWd=left ventricular posterior wall end diastolic diameter; LVM=left ventricular mass; LVH=left ventricular hypertrophy; LAEDV=left atrium end diastolic volume; LVEF=left ventricular ejection fraction; MV E/A=mitral valve E/A ratio; MV E/é=mitral valve E/é ratio; GLS=global longitudinal strain; TR max PG=tricuspid regurgitation max peak gradient. Changes in variables during dialysis were correlated with FGF23. Only two echocardiographic variables were significantly correlated with FGF23 during dialysis: change in LVM (r=0.24, p<0.05) and LVEF (r=−0.15, p<0.05). Parathyroid hormone (PTH) was negatively related to LVIDd (r=−0.14, p<0.05) and GLS (r=−0.18, p<0.05), but not to any other echocardiographic variable. As previously reported,7 we found extremely elevated FGF23 levels in HD patients compared to levels in healthy subjects. The prevalence of LVH in HD patients based on transthoracic echocardiography findings was 46% and FGF23 was associated to the presence and degree of LVH. FGF23 is an element of CKD-MBD, and interacts with 1,25-OHD and parathyroid hormone (PTH). FGF23 suppresses PTH production,53 which in turn stimulates FGF23.54 FGF23 suppresses renal production of 1,25-OHD,55 while 1,25-OHD increases FGF23 production,56 attenuates FGF23/FGFR4 signaling and LVH in uremic rats.36 Overall, FGF23 is positively correlated with PTH in ESRD, presumably due to its suppressive effects on 1,25-OHD and PTHs stimulatory effects. PTH is also correlated with LVH in non-uremic subjects57–59 and ESRD patients in one study, but not another.47,60 Vitamin D appears to have a protective effect against LVH.61,62 Thus, it is not clear which of these four factors are most important in the development of LVH: phosphate, low 1,25-OHD or FGF23. As discussed in the Introduction, controversy exists concerning the relationship of FGF23 to cardiovascular disease in ESRD. The present paper presents the largest study on this subject, almost doubling the available data. We found significant relationships between FGF23 and LVMI, LVEF, mortality and cardiovascular events. This is the first study reporting a negative relationship between LVEF and FGF23 in ESRD patients. This is perhaps surprising, since continuing LVH leads to maladaptive cardiomyocytes changes, cardiomyocytes death and myocardial fibrosis,63 and eventually to systolic dysfunction, as illustrated in Fig. 2. However, when employing multivariate analysis, the correlation to cardiovascular events disappeared. LVMI was mainly correlated with phosphate; after correction for this, the effect of FGF23 was marginal. LVMI and LVEF were not correlated with dialysis duration, suggesting that the correlations are not due to temporal factors. As the study was a cross-sectional study, any discussion of causation must be speculative and there is risk of confounding regarding the interpretation of the findings in the study. However, the lack of correlation of PTH to most of these variables suggest that this is not an important factor, and that previous correlations are mainly due to indirect effects, e.g. via FGF23 stimulation. Similarly, phosphate does not appear to have a pathogenic role in LVEF, but seems to be important to LVMI. Vitamin D was not evaluated in this study. Other variables were also included in the investigation. As previously discussed, FGF23 is implicated in the development of vascular calcification. In this study, FGF23 was not related to pulse pressure, used as a marker of vascular calcification, but was associated with presence of valvular abnormalities (as valvular sclerosis), another marker of vascular calcification. Not surprisingly, echocardiographic variables were highly correlated with cardiovascular events, and LAEDV index and GLS, an advanced Doppler measure of LV's systolic function, remained significant in the multivariate analysis. The contractile function of the left atrium is important for cardiac function, in particular in patients with reduced LVEF, and reduced LAEDV is predictive of atrial fibrillation, cerebrovascular events, acute coronary syndromes, heart failure and mortality in non-uremic subjects.64 Increased LAEDV is correlated with death both in HD65 and PD66 patients. This study confirms these findings. Since FGF23 was correlated with LAEDV, it may also play a role in this problem. Finally FGF23 is predictive of atrial fibrillation in non-uremic,12 CKD,67 and ESRD37 patients; we were unable to confirm this finding. This study is a cross-sectional study, with all the limitations that such a study entails. In particular, any discussion of possible causative mechanisms must be speculative. Our result showed a significant correlation between reduced LVEF and FGF23 which is a new finding but a pathological mechanism is not yet clear. Therefore further investigations between systolic function of left ventricle and FGF23 and its receptors in myocardial cells should clarify possible mechanisms. Our study was designed to evaluate LVH, ejection fraction and FGF23 in a large hemodialysis population, but for minimizing possible confounders a prospective cohort study could be a better option for a future study design, thereby looking at the level of FGF23 and the process in developing LVH in HD patients. For acquisition and interpretation of the transthoracic echocardiography there were used three echocardiographers, which had the same amount of training and were trained at the same echocardiography laboratory to minimize any bias. Both acquisition and interpretation were done blinded for the study results. Our study did consider the effect of dialysis duration on our findings, and showed no correlation between our echocardiography results and the duration of HD. But for a better understanding of fluid removal and volume overload on echocardiography findings it could have an impact on these results if corrected for accumulated time in hemodialysis per week or Kt/V, which we did not investigate in our study. It would also be of interest to investigate the effect of sodium and volume overload, but unfortunately sodium was not sufficient for our study. Almost all included patients had three days in HD per week and mostly during weekdays, with weekends without undergoing HD therapy. In the study almost all patients were included on weekdays. Due to removal of patient files, some information concerning CKD-MBD therapy was deficient and could therefore not be investigated further. It is possible that drugs in CKD-MBD could have an effect on the results presented in the study. FGF23 levels were extremely high in HD patients compared to levels in healthy subjects. The prevalence of LVH in HD patients was 46% and echocardiographic HFrEF, defined by LVEF <40%, was 12%. FGF23 was associated to LVH as well as reduced LVEF. FGF23 predicted overall mortality but not cardiovascular events. TN wrote the manuscript, performed the statistical analyses and participated in the acquisition of data. LP, PW, KI participated in the acquisition of data and participated in the interpretation of data. OHM performed the blood analyses on FGF23. KI and JH had the original idea for the study and wrote the protocol. All authors critically revised the manuscript and approved the final version. TN is the guarantor of the paper. C. Wanner, K. Amann, T. Shoji. The heart and vascular system in dialysis. R.N. Foley, P.S. Parfrey, M.J. Sarnak. Clinical epidemiology of cardiovascular disease in chronic renal disease. U. Schwarz, M. Buzello, E. Ritz, G. Stein, G. Raabe, G. Wiest, et al. Morphology of coronary atherosclerotic lesions in patients with end-stage renal failure. Mineral metabolism and cardiovascular disease in CKD. C. Faul, A.P. Amaral, B. Oskouei, M.C. Hu, A. Sloan, T. Isakova, et al. A. Grabner, A.P. Amaral, K. Schramm, S. Singh, A. Sloan, C. Yanucil, et al. Activation of cardiac fibroblast growth factor receptor 4 causes left ventricular hypertrophy. O.M. Gutierrez, M. Mannstadt, T. Isakova, J.A. Rauh-Hain, H. Tamez, A. Shah, et al. Fibroblast growth factor 23 and mortality among patients undergoing hemodialysis. N. Koh, T. Fujimori, S. Nishiguchi, A. Tamori, S. Shiomi, T. Nakatani, et al. K. Shibata, S. Fujita, H. Morita, Y. Okamoto, K. Sohmiya, M. Hoshiga, et al. Association between circulating fibroblast growth factor 23, alpha-Klotho, and the left ventricular ejection fraction and left ventricular mass in cardiology inpatients. M.A. Mirza, A. Larsson, H. Melhus, L. Lind, T.E. Larsson. Serum intact FGF23 associate with left ventricular mass, hypertrophy and geometry in an elderly population. S. Tanaka, S. Fujita, S. Kizawa, H. Morita, N. Ishizaka. Association between FGF23, alpha-Klotho, and cardiac abnormalities among patients with various chronic kidney disease stages. S. Seiler, B. Cremers, N.M. Rebling, F. Hornof, J. Jeken, S. Kersting, et al. The phosphatonin fibroblast growth factor 23 links calcium-phosphate metabolism with left-ventricular dysfunction and atrial fibrillation. A. Jovanovich, J.H. Ix, J. Gottdiener, K. McFann, R. Katz, B. Kestenbaum, et al. Fibroblast growth factor 23, left ventricular mass, and left ventricular hypertrophy in community-dwelling older adults. M.E. Canziani, C. Tomiyama, A. Higa, S.A. Draibe, A.B. Carvalho. Fibroblast growth factor 23 in chronic kidney disease: bridging the gap between bone mineral metabolism and left ventricular hypertrophy. O.M. Gutierrez, J.L. Januzzi, T. Isakova, K. Laliberte, K. Smith, G. Collerone, et al. Fibroblast growth factor 23: a possible cause of left ventricular hypertrophy in hemodialysis patients. M. Sarmento-Dias, C. Santos-Araujo, R. Poinhos, B. Oliveira, I.S. Silva, L.S. Silva, et al. Fibroblast growth factor 23 is associated with left ventricular hypertrophy, not with uremic vasculopathy in peritoneal dialysis patients. S. Unver, E. Kavlak, H.K. Gumusel, F. Celikbilek, K. Esertas, T. Muftuoglu, et al. Correlation between hypervolemia, left ventricular hypertrophy and fibroblast growth factor 23 in hemodialysis patients. B. Knap, Z. Veceric-Haler, M. Benedik, J. Buturovic-Ponikvar, R. Ponikvar, A.F. Bren. Fibroblast growth factor 23 and left ventricular mass index in maintenance hemodialysis patients: standard versus long nocturnal hemodialysis. T. Isakova, J. Houston, L. Santacruz, E. Schiavenato, G. Somarriba, W.G. Harmon, et al. Associations between fibroblast growth factor 23 and cardiac characteristics in pediatric heart failure. J.A. Udell, D.A. Morrow, P. Jarolim, S. Sloan, E.B. Hoffman, T.F. O’Donnell, et al. Fibroblast growth factor-23, cardiovascular prognosis, and benefit of angiotensin-converting enzyme inhibition in stable ischemic heart disease. S. Seiler, K.S. Rogacev, H.J. Roth, P. Shafein, I. Emrich, S. Neuhaus, et al. Associations of FGF-23 and sKlotho with cardiovascular outcomes among patients with CKD stages 2-4. J.J. Scialla, H. Xie, M. Rahman, A.H. Anderson, T. Isakova, A. Ojo, et al. N. Shobeiri, J. Pang, M.A. Adams, R.M. Holden. Cardiovascular disease in an adenine-induced model of chronic kidney disease: the temporal link between vascular calcification and haemodynamic consequences. M.A. Mirza, A. Larsson, L. Lind, T.E. Larsson. Circulating fibroblast growth factor-23 is associated with vascular dysfunction in the community. M.A. Mirza, T. Hansen, L. Johansson, H. Ahlstrom, A. Larsson, L. Lind, et al. Relationship between circulating FGF23 and total body atherosclerosis in the community. M. Kanbay, M. Nicoleta, Y. Selcoki, M. Ikizek, M. Aydin, B. Eryonucu, et al. Fibroblast growth factor 23 and fetuin A are independent predictors for the coronary artery disease extent in mild chronic kidney disease. A. Fragoso, A.P. Silva, K. Gundlach, J. Buchel, P.L. Neves. Magnesium and FGF-23 are independent predictors of pulse pressure in pre-dialysis diabetic chronic kidney disease patients. J. Arnlov, A.C. Carlsson, J. Sundstrom, E. Ingelsson, A. Larsson, L. Lind, et al. Serum FGF23 and risk of cardiovascular events in relation to mineral metabolism and cardiovascular pathology. M. Plischke, S. Neuhold, C. Adlbrecht, B. Bielesz, S. Shayganfar, C. Bieglmayer, et al. Inorganic phosphate and FGF-23 predict outcome in stable systolic heart failure. J.H. Ix, R. Katz, B.R. Kestenbaum, I.H. de Boer, M. Chonchol, K.J. Mukamal, et al. Fibroblast growth factor-23 and death, heart failure, and cardiovascular events in community-living individuals: CHS (Cardiovascular Health Study). S. Seiler, B. Reichart, D. Roth, E. Seibert, D. Fliser, G.H. Heine. FGF-23 and future cardiovascular events in patients with chronic kidney disease before initiation of dialysis treatment. C. Nakano, T. Hamano, N. Fujii, Y. Obi, I. Matsui, K. Tomida, et al. Intact fibroblast growth factor 23 levels predict incident cardiovascular event before but not after the start of dialysis. J. Kendrick, A.K. Cheung, J.S. Kaufman, T. Greene, W.L. Roberts, G. Smits, et al. FGF-23 associates with death, cardiovascular events, and initiation of chronic dialysis. M. Leifheit-Nestler, F. Kirchhoff, J. Nespor, B. Richter, B. Soetje, M. Klintschar, et al. Fibroblast growth factor 23 is induced by an activated renin-angiotensin-aldosterone system in cardiac myocytes and promotes the pro-fibrotic crosstalk between cardiac myocytes and fibroblasts. M. Leifheit-Nestler, A. Grabner, L. Hermann, B. Richter, K. Schmitz, D.C. Fischer, et al. Vitamin D treatment attenuates cardiac FGF23/FGFR4 signaling and hypertrophy in uremic rats. A. Nowak, B. Friedrich, F. Artunc, A.L. Serra, T. Breidthardt, R. Twerenbold, et al. Prognostic value and link to atrial fibrillation of soluble Klotho and FGF23 in hemodialysis patients. H. Olauson, A.R. Qureshi, T. Miyamoto, P. Barany, O. Heimburger, B. Lindholm, et al. Relation between serum fibroblast growth factor-23 level and mortality in incident dialysis patients: are gender and cardiovascular disease confounding the relationship?. H.J. Kim, M. Park, H.C. Park, J.C. Jeong, D.K. Kim, K.W. Joo, et al. Baseline FGF23 is associated with cardiovascular outcome in incident PD patients. L.L. Plesner, P.E. Warming, T.L. Nielsen, M. Dalsgaard, M. Schou, U. Host, et al. Chronic obstructive pulmonary disease in patients with end-stage kidney disease on hemodialysis. D. El-Maouche, C.E. Dumitrescu, P. Andreopoulou, R.I. Gafni, B.A. Brillante, N. Bhattacharyya, et al. Stability and degradation of fibroblast growth factor 23 (FGF23): the effect of time and temperature and assay type. R.B. Devereux, E.M. Lutas, P.N. Casale, P. Kligfield, R.R. Eisenberg, I.W. Hammond, et al. Standardization of M-mode echocardiographic left ventricular anatomic measurements. R.B. Devereux, D.R. Alonso, E.M. Lutas, G.J. Gottlieb, E. Campo, I. Sachs, et al. Echocardiographic assessment of left ventricular hypertrophy: comparison to necropsy findings. R.M. Lang, M. Bierig, R.B. Devereux, F.A. Flachskampf, E. Foster, P.A. Pellikka, et al. P. Ponikowski, A.A. Voors, S.D. Anker, H. Bueno, J.G. Cleland, A.J. Coats, et al. C.M. Shanahan, M.H. Crouthamel, A. Kapustin, C.M. Giachelli. Arterial calcification in chronic kidney disease: key roles for calcium and phosphate. P. Strozecki, A. Adamowicz, E. Nartowicz, G. Odrowaz-Sypniewska, Z. Wlodarczyk, J. Manitius. Parathormon, calcium, phosphorus, and left ventricular structure and function in normotensive hemodialysis patients. F. Galetta, A. Cupisti, F. Franzoni, F.R. Femia, M. Rossi, G. Barsotti, et al. Left ventricular function and calcium phosphate plasma levels in uraemic patients. J. Zou, Y. Yu, P. Wu, F.J. Lin, Y. Yao, Y. Xie, et al. Serum phosphorus is related to left ventricular remodeling independent of renal function in hospitalized patients with chronic kidney disease. G.S. Di Marco, S. Reuter, D. Kentrup, A. Grabner, A.P. Amaral, M. Fobker, et al. Treatment of established left ventricular hypertrophy with fibroblast growth factor receptor blockade in an animal model of CKD. O. Andrukhova, S. Slavic, A. Smorodchenko, U. Zeitz, V. Shalhoub, B. Lanske, et al. FGF23 regulates renal sodium handling and blood pressure. B. Dai, V. David, A. Martin, J. Huang, H. Li, Y. Jiao, et al. A comparative transcriptome analysis identifying FGF23 regulated genes in the kidney of a mouse CKD model. T. Krajisnik, P. Bjorklund, R. Marsell, O. Ljunggren, G. Akerstrom, K.B. Jonsson, et al. T. Kawata, Y. Imanishi, K. Kobayashi, T. Miki, A. Arnold, M. Inaba, et al. Parathyroid hormone regulates fibroblast growth factor-23 in a mouse model of primary hyperparathyroidism. T. Shimada, H. Hasegawa, Y. Yamazaki, T. Muto, R. Hino, Y. Takeuchi, et al. FGF-23 is a potent regulator of vitamin D metabolism and phosphate homeostasis. S. Liu, W. Tang, J. Zhou, J.R. Stubbs, Q. Luo, M. Pi, et al. Fibroblast growth factor 23 is a counter-regulatory phosphaturic hormone for vitamin D.
F.N. Saleh, H. Schirmer, J. Sundsfjord, R. Jorde. Parathyroid hormone and left ventricular hypertrophy. P. Andersson, E. Rydberg, R. Willenheimer. Primary hyperparathyroidism and heart disease—a review. A.A. Soares, W.M. Freitas, A.V. Japiassu, L.A. Quaglia, S.N. Santos, A.C. Pereira, et al. Enhanced parathyroid hormone levels are associated with left ventricle hypertrophy in very elderly men and women. H. Fujii, J.I. Kim, T. Abe, M. Umezu, M. Fukagawa. Relationship between parathyroid hormone and cardiac abnormalities in chronic dialysis patients. H. Fujii, K. Nakai, Y. Yonekura, K. Kono, S. Goto, M. Hirata, et al. The vitamin D receptor activator maxacalcitol provides cardioprotective effects in diabetes mellitus. S. Chen, C.S. Law, C.L. Grigsby, K. Olsen, T.T. Hong, Y. Zhang, et al. Cardiomyocyte-specific deletion of the vitamin D receptor gene results in cardiac hypertrophy. E. Alhaj, N. Alhaj, I. Rahman, T.O. Niazi, R. Berkowitz, M. Klapholz. Uremic cardiomyopathy: an underdiagnosed disease. O. Ozdogan, M. Kayikcioglu, G. Asci, M. Ozkahya, H. Toz, M. Sezis, et al. Left atrial volume predicts mortality in low-risk dialysis population on long-term low-salt diet. S.J. Kim, S.H. Han, J.T. Park, J.K. Kim, H.J. Oh, D.E. Yoo, et al. Left atrial volume is an independent predictor of mortality in CAPD patients. R. Mehta, X. Cai, J. Lee, J.J. Scialla, N. Bansal, J.H. Sondheimer, et al. Association of fibroblast growth factor 23 with atrial fibrillation in chronic kidney disease from the chronic renal insufficiency cohort study.